About ALWAYS OPEN OVERHEAD DOORS INC.
With over twenty years experience in the construction and building industries there isn't a whole lot we haven't seen or been able to fix. 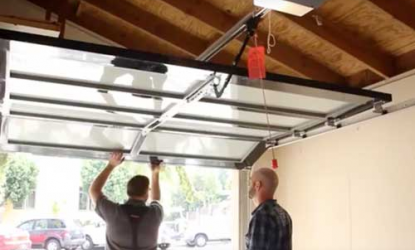 From the smallest residential sectional garage door to the biggest commercial rolling steel doors, we have the tools and the know how to get you back to your life or business quickly and efficiently. INCLUDES: SERVICE CALL, DOOR INSPECTION & LUBRICATION MUST PRESENT SS COUPON.